Plastic Fantastic!! We realised after consulting with many product preparation and production companies that what was missing from our portfolio was a cheaper and smaller VESA mount fully IP65 rated front and back, touchscreen PC – One that didn’t necessarily have the brute strength of our Cobalt® stainless steel PC range, nor the premium price. It soon became clear that a robust but non-metal and lighter unit that was an equally dependable machine but at a lower cost would be highly in demand. So, we set about a ground up UK design and build of the new and unique Boron® ABS touchscreen Industrial PC that retails from just £1250. The Boron® has all the performance and build quality you would expect from CabinetPro, plus it is VESA mountable, fully IP65 rated and washable. What’s more, it is hand assembled using only top quality branded parts and is fully serviceable in the UK. Available in 12″ to 15″ monitor sizes, with wall, stand-alone or desktop VESA mounts, this PC bridges the gap between our Cobalt® stainless steel industrial units and standard domestic PCs which are typically not up to industrial applications. Our Boron® range of industrial ABS plastic PC’s can be mixed & matched in conjunction with our Cobalt® stainless steel range offering the choice of ultimate protection where needed or affordability and durability for less demanding environments. At CabinetPro we have an industrial PC for almost every application. Stainless steel or ABS plastic? Our unique and new to market Boron® touchscreen range of PC’s are made from rugged ABS plastic making them lightweight, impact resistant and impervious to water and detergent whilst offering great savings over our Cobalt® stainless steel range. Although not quite as rugged or strong as our Cobalt® range, the ABS PC offers great flexibility and is ideal when performance and durability is required but not out-and-out brute strength. All our ABS PC’s are IP65 rated all round meaning they can be washed down from all directions, unlike our competitors who only specify front IP rating which in real life is pretty pointless. 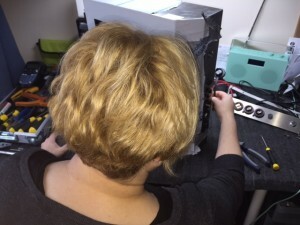 The only difference here is that unlike our stainless steel models, the connecting cables need to be removed from the PC for a full wash-down on some models, although the units can be cleaned and wiped down with the cables in place. Screen sizes range from 12″ to 15″ meaning the PC is equally as happy on a wall or machine as it is on a desk or stand. All our PC’s use the industry standard VESA system for mounting to a wall, stand or desk and are powered by either 240v or 12v dc. Our Cobalt® range of stainless steel PC’s have been designed to be ultra-rugged and for use in both clean or hostile environments. Stainless steel is the ideal material for use in pharmaceutical situations or clean area’s such as food processing plants. Our stainless steel PC’s can withstand almost any shop-floor type impact and can be easily washed down while running thanks to it’s full IP65 rating. These PC’s are built to withstand moisture, chemicals, dust and food particles making them ideal for almost any industry. Our standard specification for this PC is Atom Dual-Core processor with 4GB RAM and 500GB HDD. This can be upgraded to i3 processor and 8GB RAM. 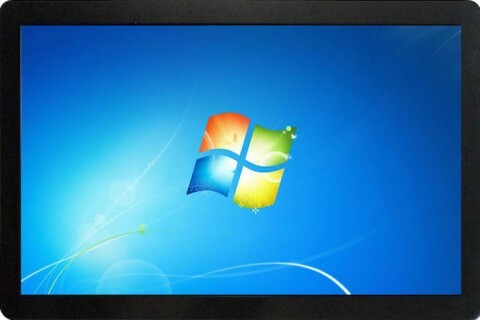 Touchscreen size is 17″ meaning the PC is highly viewable and tactile. Repair / Upgrade or Throwaway? To put your mind at rest, here at CabinetPro we build to a quality not a price. This is because our customers appreciate the value of high quality units that do not need to be frequently maintained or replaced. This saves them cost, time and inconvenience. In addition, all our PCs are manufactured in the UK so in the unlikely event that you do need service or support, help is close to hand. To show confidence in our product, we offer a 3 year RTB warranty option subject to early payment terms being met. Our Boron® ABS range is built to last in order to protect your investment. 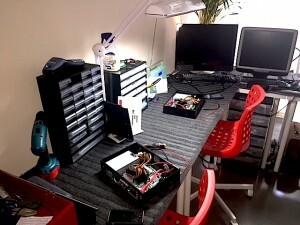 Each unit is built in four main sections, each one replaceable independently of the others: The core of the unit is the cabinet, this will last for an indefinite period and we can upgrade or replace all the elements within this easily keeping you up to date starting with the PC power and memory requirements; next is the touch-screen monitor assembly which is fully replaceable; then finally, the four piece neoprene gasket set that we replace in any event. Some of our PC’s have been working in the field without attention for over 7 years, however, we do recommend that PC’s are serviced every 5 years just to make sure everything is still working to our tight specification. So, unlike most, we offer a RTB service scheme where every 5 years we will check that your PC is running at optimum efficiency and that all hardware is still working accurately as intended. Please contact us to find out more. Can we help you with your purchase? 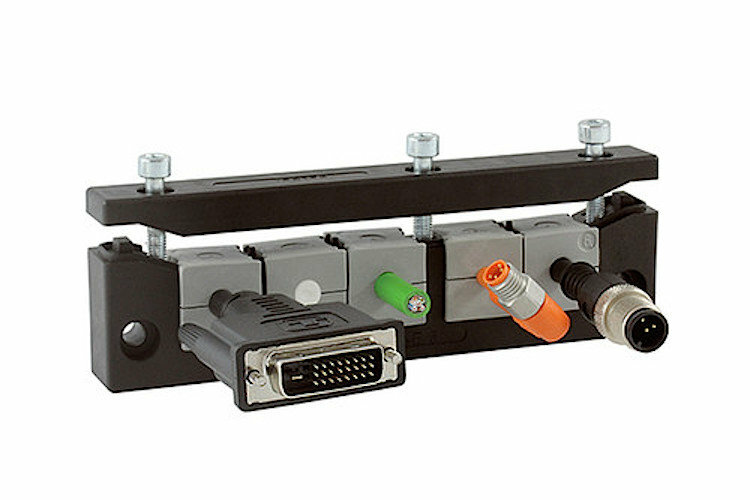 CabinetPro is a one-stop shop for washable industrial PCs and data capture equipment. Call us on UK Freephone: 0800 772 0449 or Intl: +44 1454 261 948 for more information. 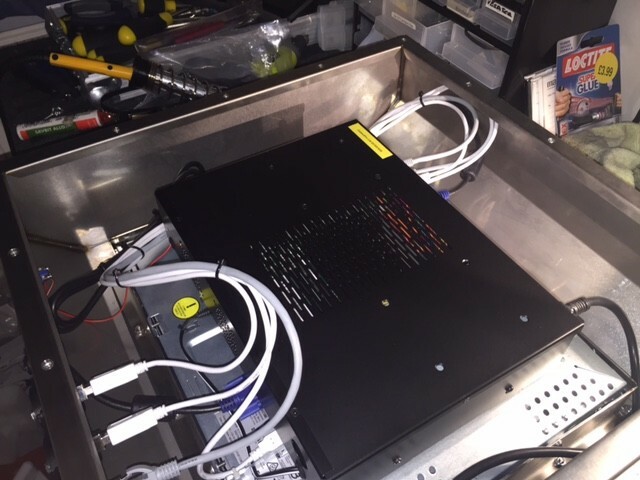 "Our CabinetPro industrial pcs are constantly in use in a cold and humid environment and never miss a beat. Accurate touch screen, no need for fiddly keyboards or mice, the users find these friendly and quick to use. The design also makes them easy to clean"
We offer many combinations of I/O IP rated connections on all our PC’s. Please talk to us about your specific requirements. Our standard HDD’s are 500GB SATA Seagate or similar branded drive. We can also fit SSD’s, SanDisk 120 / 240GB or similar. Single or dual drives are also catered for. Dual core 1.86GHz Intel Atom D2500. Upgradeable to dual core 64-bit 2.41GHz J1800 or 2.9 GHz dual core 4th generation Intel i3. Our standard PC’s come with 4GB of Corsair or Crucial branded Ram. This can be upgraded to 8GB if required. Our standard I/O connections are 1x 240v power. Ix RJ45 Network and 2x USB. More can be added as required. All connections are IP rated to different degrees dependant on model. Standard size for our Cobalt® stainless steel touch-screen PC is 17″ however a 15″ unit is available as special order. Our ABS and panel PC’s offer a choice of sizes. Most are our PC’s are Windows driven, but please contact us if you have other requirements. We can sometimes work from your image but normally our PC’s are freshly loaded with Windows 7Pro 8Pro or 10Pro 32 or 64bit OS’s.